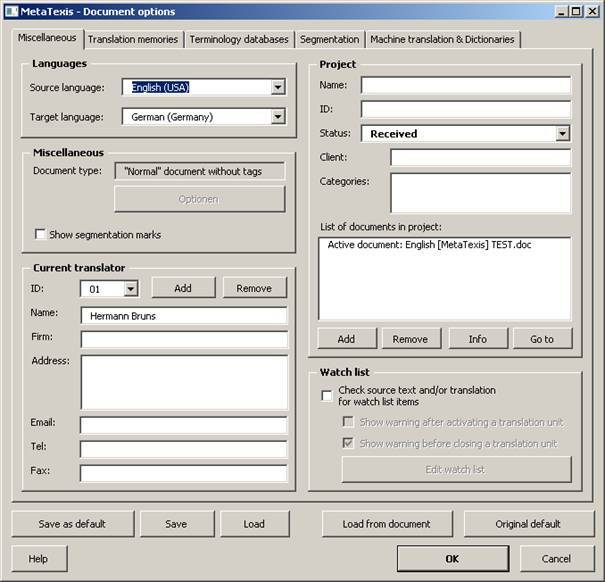 The Document options dialog box is the central dialog box for controlling the way a MetaTexis document is translated. See Configuring TMs and TDBs. Saves the current settings (see below). Loads standard settings (see below). Loads settings from another MetaTexis document. Saves the settings and closes the dialog box. Closes the dialog box without saving the settings.